TUCKED in a quiet part of Taman Tun Dr Ismail (TTDI) in Kuala Lumpur is D Legends bar, a friendly neighbourhood bar that is lively and cosy. The bar that has been open since May last year and sets itself apart from the other food and beverage outlets in the area with its affordable prices for the drinks and the lip-smacking food. Legends: Pictures of famous personalities adorn the walls of the bar. The food served is mainly fusion treats like English and Indian favourites and it also serves a good spread of local dishes. D Legends partner Hans Gill oversees the outlet while also bartending and he even waits on tables and does the cleaning up when necessary. 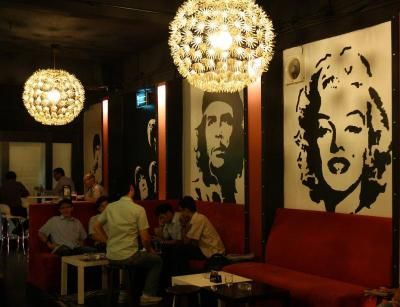 Pictures of legendary personalities like Bob Marley, Marilyn Monroe, James Dean, Michael Jackson and many more adorn the walls of the bar, giving it a chic yet contemporary look. When asked what made him decide to leave the IT industry and open a bar, Hans, a local lad, said: “I have always had a deep passion for the food and beverage environment and hence my involvement in the everyday running of the outlet. I enjoy every minute of it and take pride in this place”. Guinness draught lovers will be delighted to know that D Legends has a very affordable promotion where one can get the lovely creamy brew for a steal — only RM50nett for 3 pints! Yes, you read it right! According to Hans, it is the only bar in TTDI to have this promotion. The food at the bar is very popular with regular patrons. 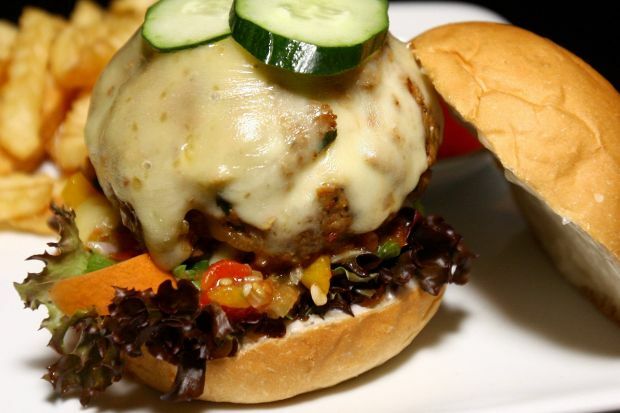 The specialities includes its Pork Burger, Wild Boar Rendang and the BBQ Beef Short Ribs. The Pork Burger, at RM18 per serving, consists of a juicy pork patty made from scratch with chopped bacon, spices, salsa, mozzarella cheese and served with french fries. It is truly a treat and very filling indeed. The Wild Boar Rendang (RM15), is a must-try at D Legends. Tender pieces of wild boar are cooked with exotic spices, lemongrass and rich coconut milk. It was truly heavenly especially with a chilled pint of beer. The BBQ Beef Short Ribs is another must-try. Two pieces of juicy cajun-herbed ribs are served with homemade BBQ mop sauce, salad and mashed potatoes. Other noteable dishes on the menu include a variety of starters like Pakodas (RM7), Mushroom Tapas (RM12), Prawn Tapas (RM16) and Chicken Tikka (RM14). For main courses, the bar also serves dishes like Spaghetti Bolognaise, Penne Carbonara and Lemon Fish Fillets. According to Hands, the menu changes every six months. The outlet has its regulars and, based on the good crowd that day, it is a favourite spot among those who want to kick back after a hard day’s work and enjoy a decent conversation with their favourite ‘poison’ and not forgetting the good food served. Business hours are from 4pm-2am on weekdays and 5pm-2am on weekends and it is open every day. The plus point of D Legends is that the kitchen closes at 12.30am. Follow the outlet on Twitter@dLegendsbar and on Facebook.